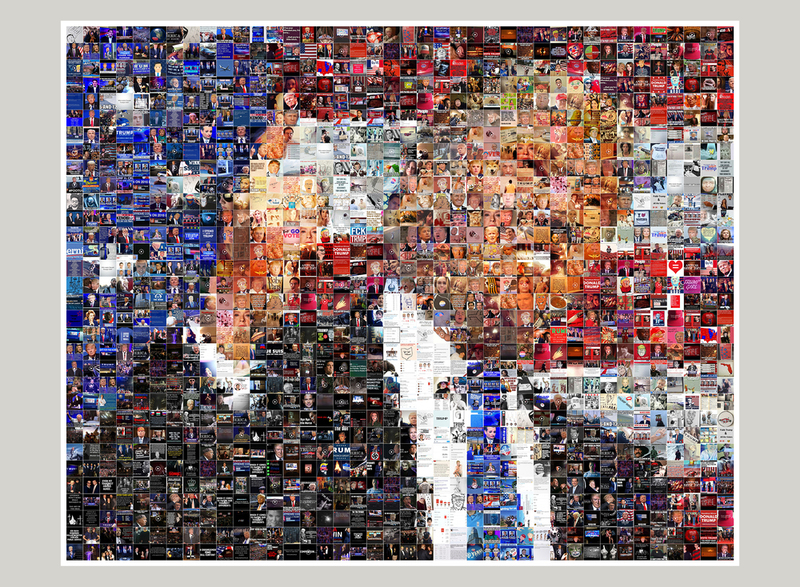 From a distance, Moshe Elimelech’s abstract Trump portrait may bring to mind Chuck Close’s gridded portrait paintings, or Andy Warhol’s works of iconic American celebrities. Upon closer inspection, Elimelech’s piece becomes something else, as it is solely made up of Instagram posts. The artist works within his minimalistic geometric language, building the portrait systematically and meticulously, piece by piece, square by square. 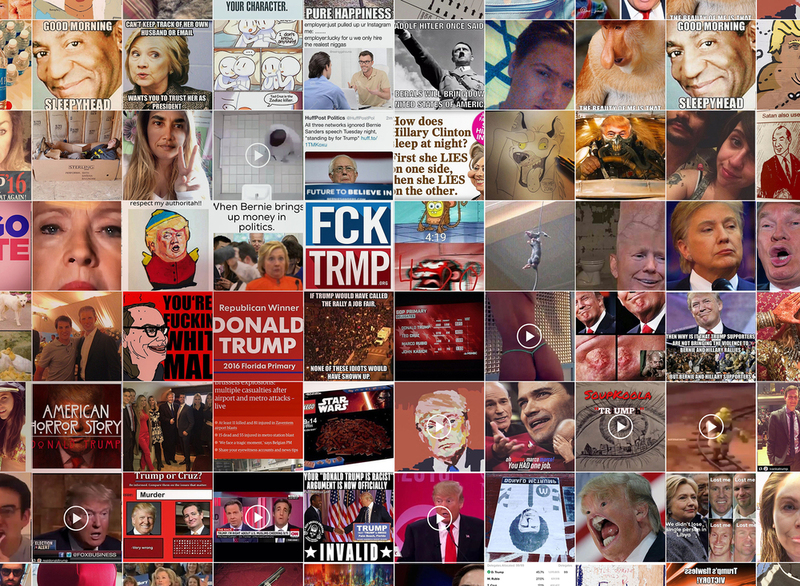 Comprised of #Trump2016 posts, the portrait is a collection of praise, hate, junk, and jokes. The work confronts the influence of social media, how we communicate today, and the impact a meme can have, for better or for worse. As the artist, Elimelech remains a neutral observer, intending only to reflect ourselves, and what we have created.